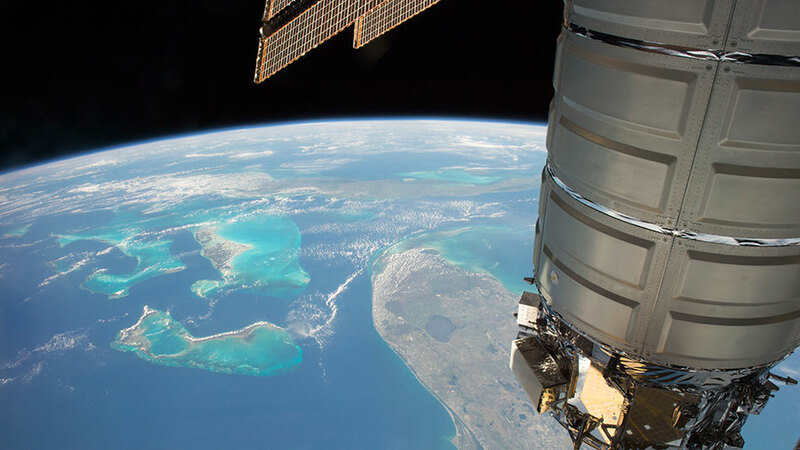 The Cygnus cargo craft is pictured as the station orbits above the state of Florida and the country of Cuba. The International Space Station is an orbiting platform to continuously explore a wide variety of space science both inside and outside the orbital lab to benefit humans and industry. For example, the five Expedition 51 crew members continued helping scientists understand what happens to the body when living in outer space. Also, more CubeSats were ejected into orbit today to study a wide variety of phenomena. Wednesday marked the third day the crew has worked on the Genes in Space studies, with both the second and third iteration taking place this week. Genes in Space-2 is looking at telomere changes in space which contributes to understanding how spaceflight affects telomere length and, in turn, astronaut health on future space missions. Genes in Space-3 seeks to establish a robust, user-friendly deoxyribonucleic acid (DNA) sample preparation process to enable biological monitoring aboard the International Space Station (ISS). Today was Commander Peggy Whitson’s turn to try on a unique suit that reverses the upward flow of fluids in astronaut’s body. The Lower Body Negative Pressure suit is being examined for its ability to counteract the effects of weightlessness and keep astronaut’s healthy. Flight Engineers Oleg Novitskiy and Jack Fischer, in conjunction with doctors on Earth, participated in today’s Fluid Shifts study and scanned Whitson’s arteries with an ultrasound device. Results from this experiment may help doctors develop therapies to prevent lasting changes in vision and eye damage. Japan’s Kibo lab module contains a small satellite deployer that was extended outside its airlock this week to eject numerous types of Cubesats safely into space. Today’s collection of CubeSats now orbiting Earth will study the Earth’s thermosphere properties and test experimental radar systems for up to two years. Muy interesante!, pero se debiera de establecer una tabla de valor permitidos a la exposición del cuerpo a la radiación.